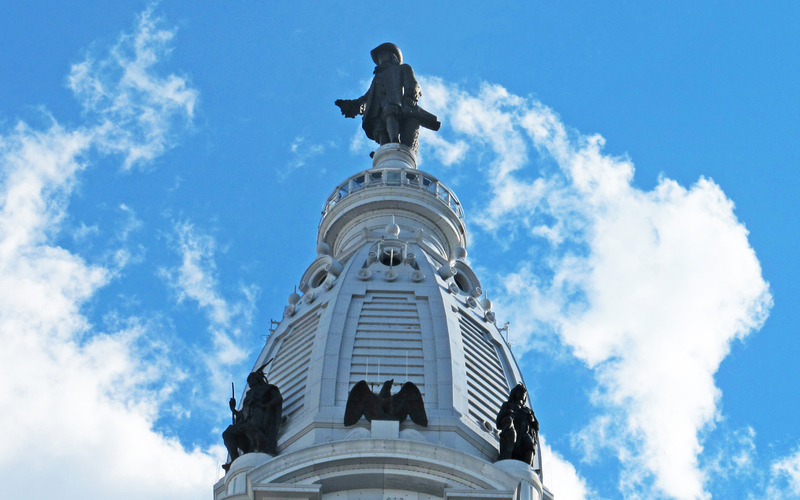 At over thirty-six feet tall and weighing more than 53,000 pounds, Alexander Milne Calder’s sculpture William Penn atop City Hall is one of Philadelphia’s most prominent landmarks. Completed in 1892 as a city public works project, the work was hoisted to the top of City Hall in 1894. “William Penn” remained a dominant point in Center City’s skyline because of a “gentlemen’s agreement” that no skyscraper would be built higher than the brim of Penn’s hat. 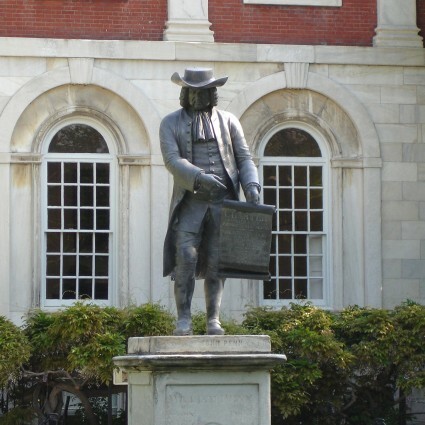 Calder based his depiction of Penn holding the charter of Pennsylvania on thorough research of the colonial period. For example, the Historical Society of Pennsylvania helped determine the kind of clothing Penn would have worn. Because the sculpture would be viewed from a distance, Calder sought to interpret Penn in a highly legible way. 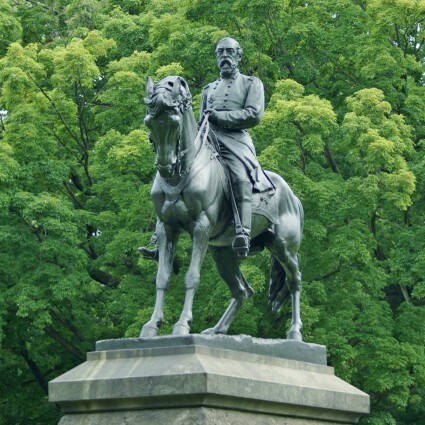 He later claimed bitterly that the statue was incorrectly installed facing northeast instead of south – throwing its features into perpetual shadow. In fact, early drawings showed the statue facing northeast toward Penn Treaty Park, the site of his legendary treaty with the Lenni Lenape Indians. William Penn remained a dominant point in Center City’s skyline because of a “gentlemen’s agreement” that no skyscraper would be built higher than the brim of Penn’s hat. 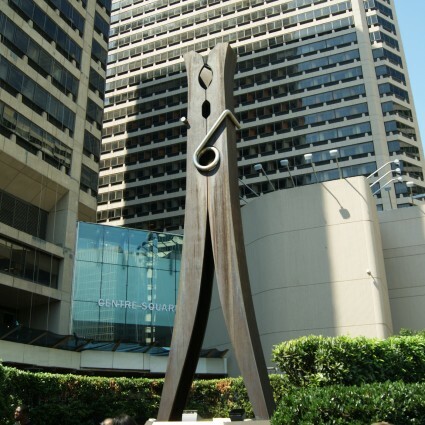 Thus, a single work of art exerted a profound influence on the city’s architectural development. 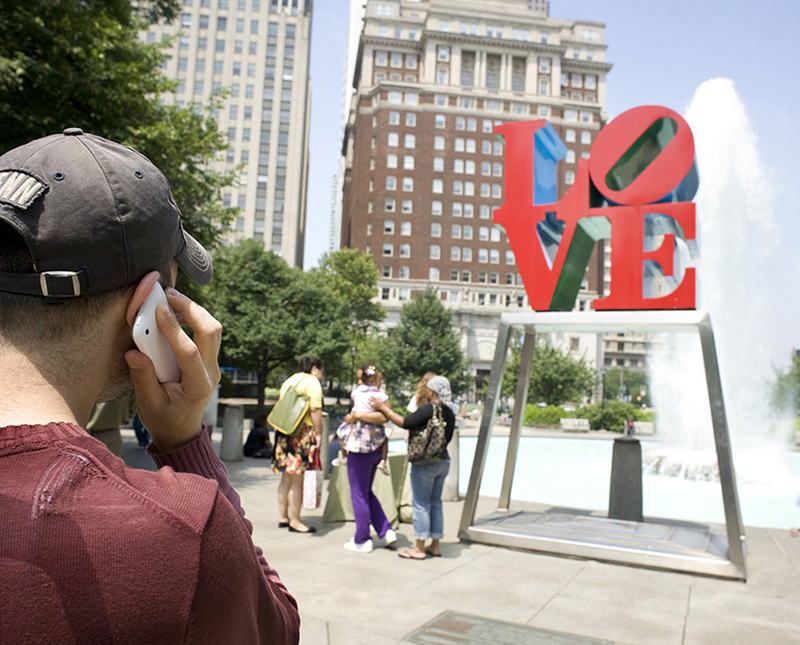 In 1986, the gentlemen’s agreement was finally broken, but “Billy Penn” continues to command the long vistas of Broad Street and the Benjamin Franklin Parkway. Greta Greenberger was the Tour Guide Director for Philadelphia’s City Hall Tours and Visitor Center for 25 years. She was responsible for conducting tours of City Hall for visitors and school groups. Timothy Rub is the Director and Chief Executive Officer of the Philadelphia Museum of Art. He is an art historian who specializes in architecture and modern art. This artwork is part of the Along the Benjamin Franklin Parkway tour, and the Around City Hall tour.